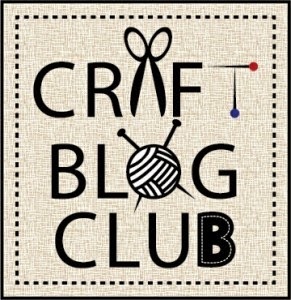 In tonight's #CraftBlogClub chat Jenniffer Taylor, queen of the #sewingrevolution, launched an upcycle challenge! Don't worry if you missed it you can still join in. This summer why not take part and complete an upcycle project of your choice? This could be turning a jumper into a hat, revamping a pair of jeans or turning that sad looking plant pot into fab crafty storage container. Jenniffer will then join us again on Tuesday 2nd August as we all reveal our upcycle projects. As with all #craftblogclub challenges please do tweet about your project using the hashtag #craftblogclub and then please do write a blog post revealing the final result. We really do love to read all about your challenge experiences. How exciting! I have no idea what I'll do but this will coincide nicely with my mum teaching me to sew! Thank you for leaving a comment! I love to hear from you, whether you just pop by to say hi, share your experiences or want to give me feedback. I appreciate your comments and love reading them.